Is there a better alternative to Office Chat? Is Office Chat really the best app in Chat category? 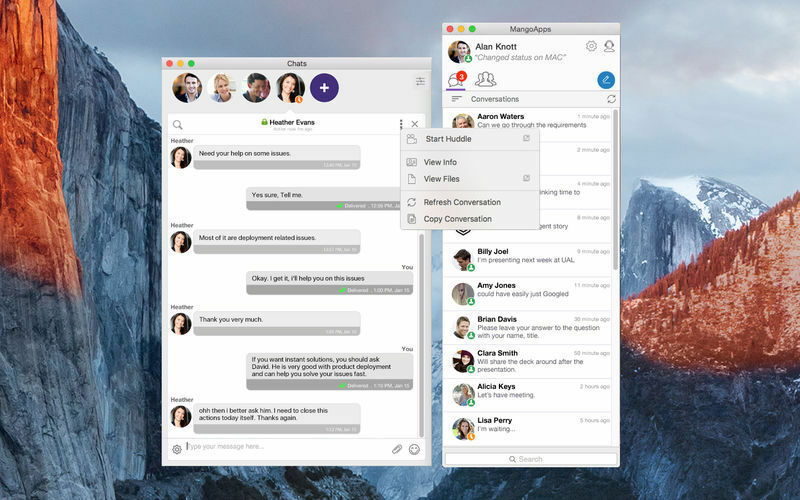 Will Office Chat work good on macOS 10.13.4? Group Admin now can make any member an admin & can also remove a member from the group from the members list. Office Chat needs a rating. Be the first to rate this app and get the discussion started! Office Chat is a secure mobile messaging platform for the business world designed for fast workplace communication. Office Chat works for private one-to-one conversations or group chats between large or small teams, so you can talk with just one colleague or a group of ten about work related ideas, projects, and more. Beyond chatting, with Office Chat you can also securely share text messages, files, pictures, audio, and videos with your coworkers instantly -without worrying about exchanging phone numbers or information leaking. Office Chat is the perfect tool for anyone seeking to improve their company's ability to collaborate, network, and share information. It is a cross-platform IM service that you can enjoy on iPhone, iPad, Android, Mac, and Windows Desktop. Start-ups, non-profit organizations, and businesses big and small use Office Chat to streamline information sharing and collaboration within their company. You can use it to improve your business's ability to communicate too! Download the app for free now!